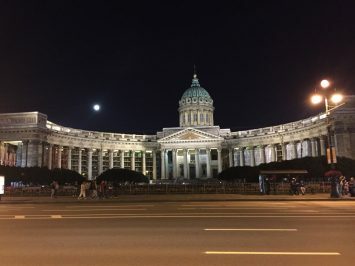 One of the most beautiful cities in Russia and the whole world! 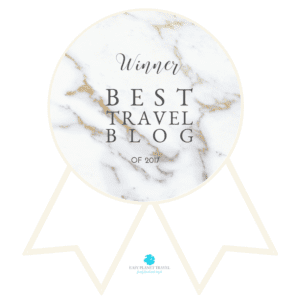 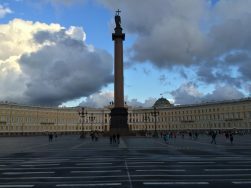 Saint Petersburg was mainly built by French and Italian architects, and has impressive churches, outstanding theaters and museums, and extraordinary palaces and monuments. 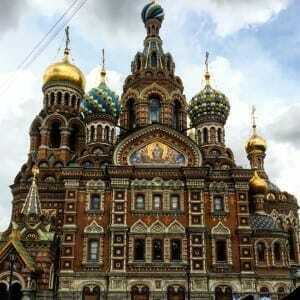 The city is by the Baltic Sea and has hundreds of canals. 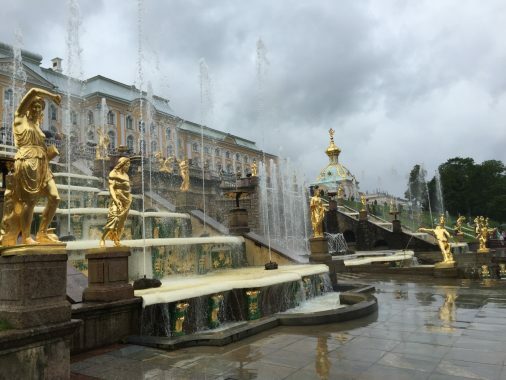 Because of that Saint Petersburg is known as the Venice of the North. 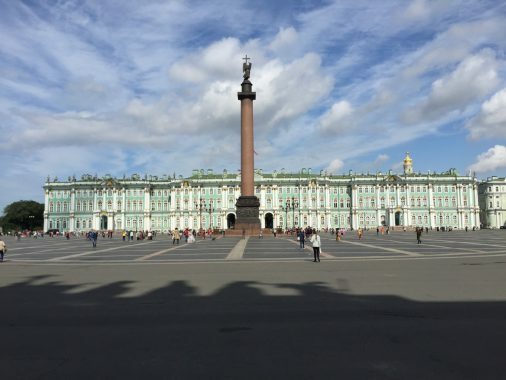 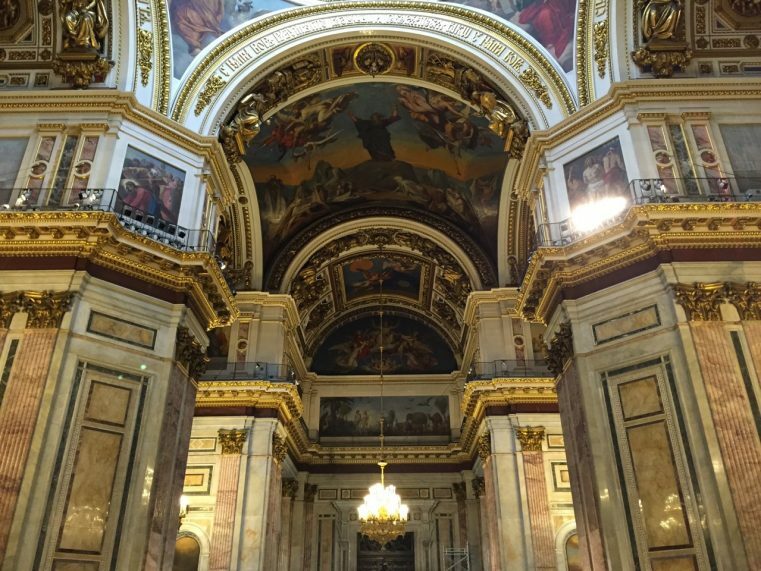 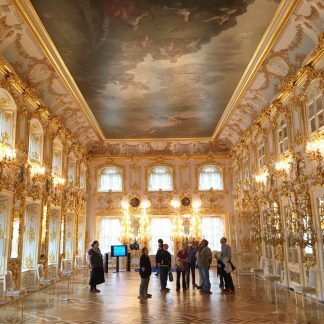 Hermitage Museum: one of the most important museums of the world with an over 3 million pieces of art displayed in breathtaking palaces. 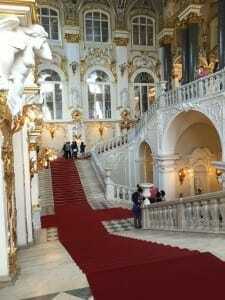 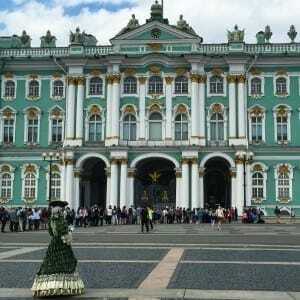 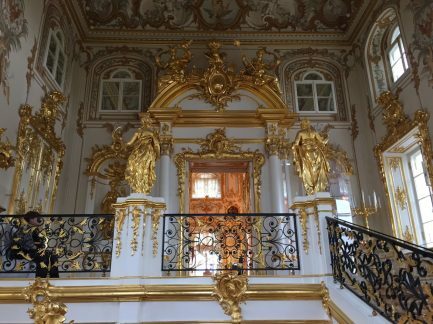 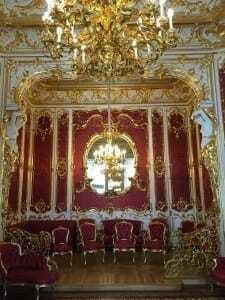 Luxury and ostentation for the Russian czars.I was in awe visiting the Winter Palace!! 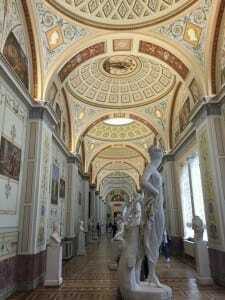 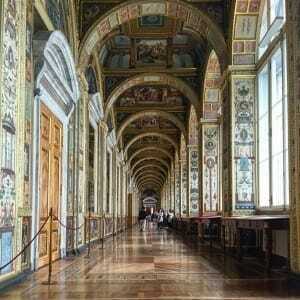 Room inspired by the Sistine Chapel, Hermitage Museum. 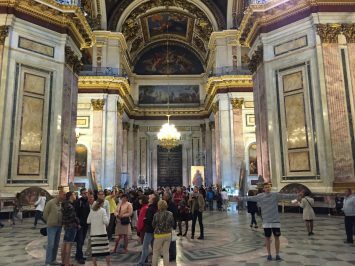 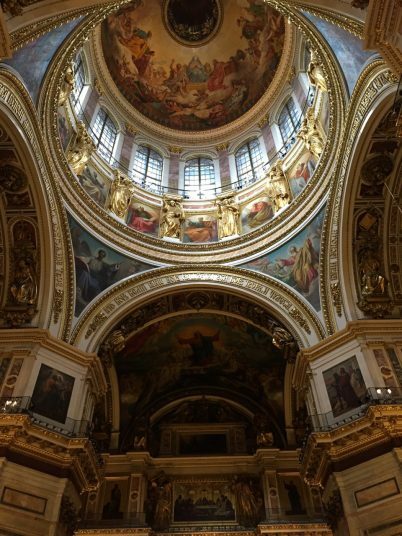 Saint Isaac’s Cathedral: a church that became a museu and provides beautiful views of the city from its dome. 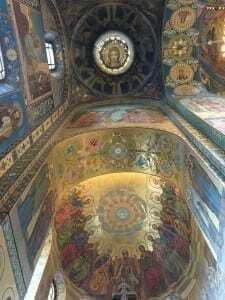 Church of the Savior on Blood: one of the most beautiful churches I’ve ever seen. 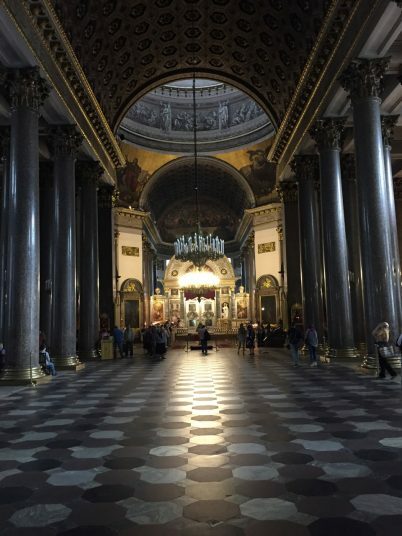 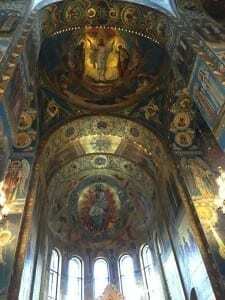 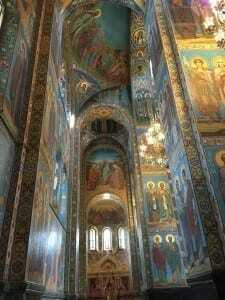 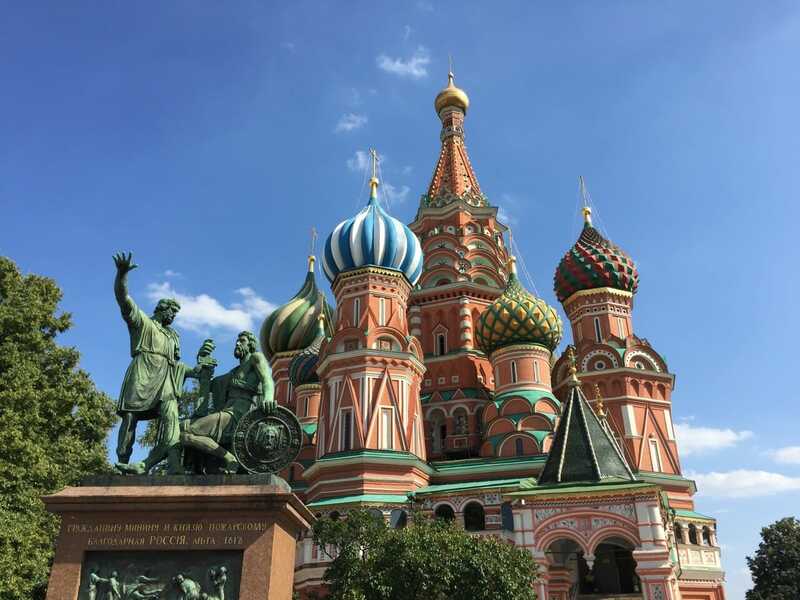 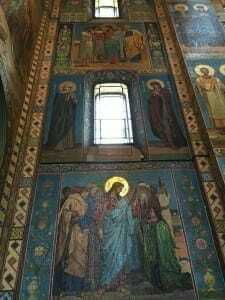 There are thousands of mosaics well preserved in a gorgeous Russian architecture. 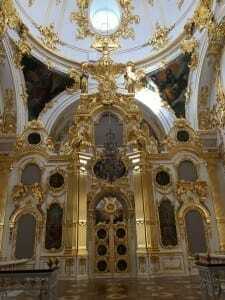 Actually this is not a church anymore, but a museum. 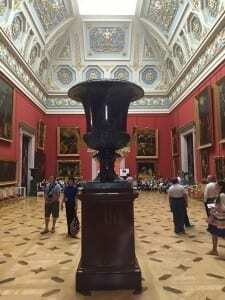 I did not want to leave this museum and got so moved during my whole visit. 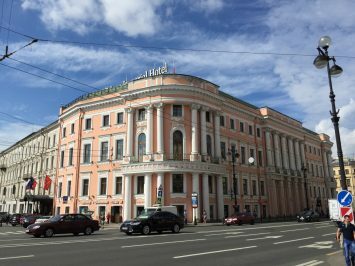 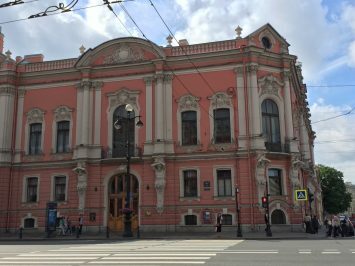 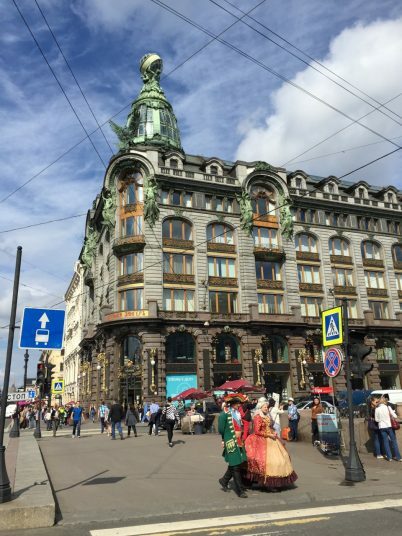 Nevsky Prospect Avenue: the most important avenue of Saint Petersburg is full of fine buildings, restaurants and coffee places. 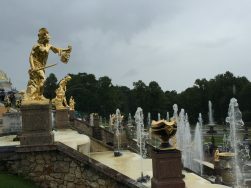 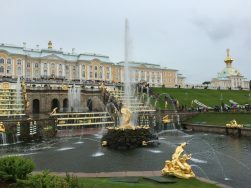 Peterholf Palace: the summer residence of the Russian czars has awesome fountains and gardens. 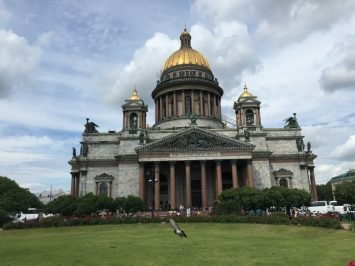 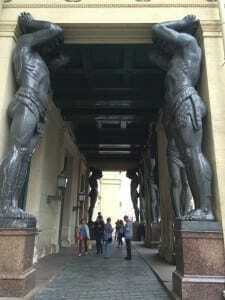 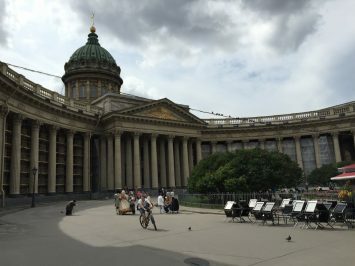 Kazan Cathedral: imposing architecture but inside is not that great. 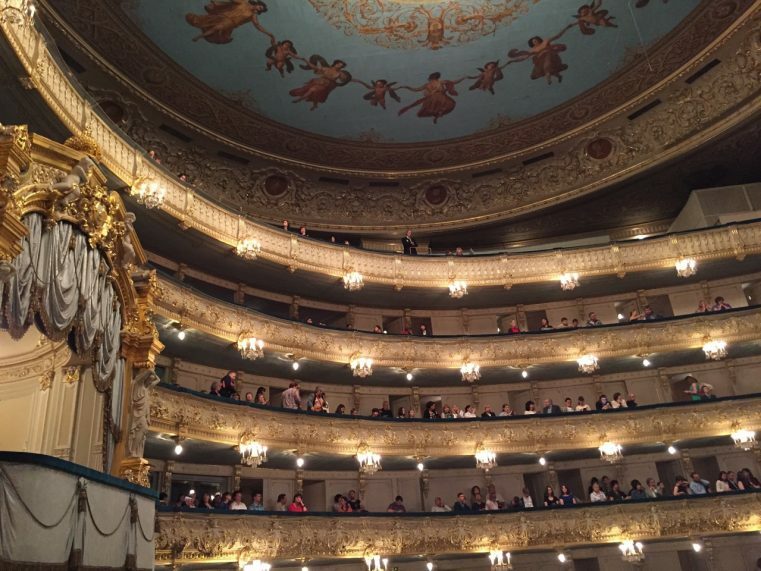 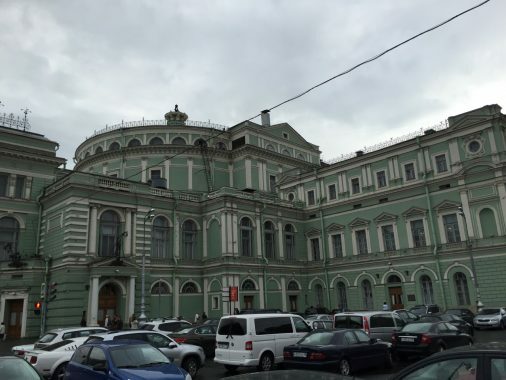 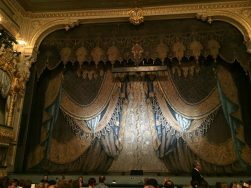 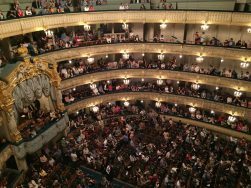 Mariinsky Theater: one of the most important and traditional theaters in Russia. 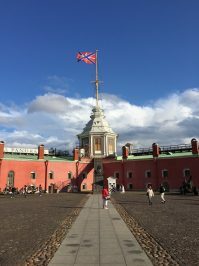 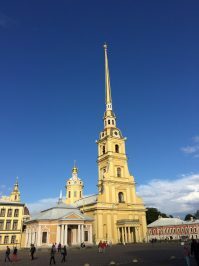 Peter and Paul Fortress and Cathedral: located on an island of the city, the best way to get here is by boat. 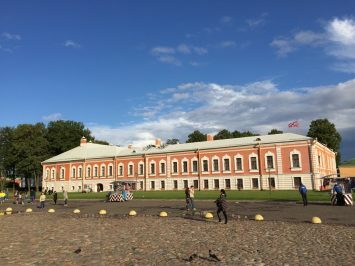 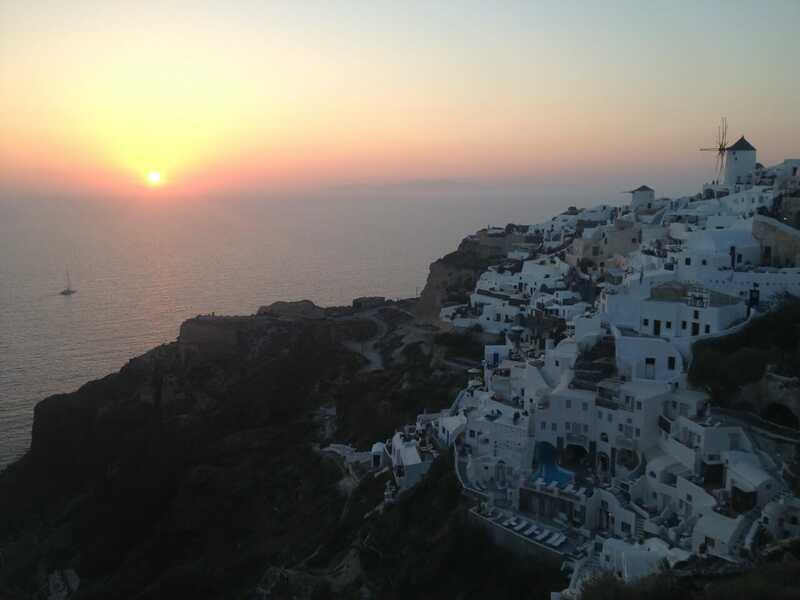 You need a ticket to climb the fortress’s walls. 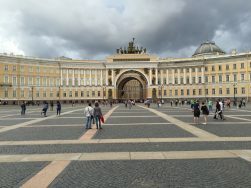 Palace Square: the most important square in the city displays an exuberant monument dedicate to the victory against Napoleon. 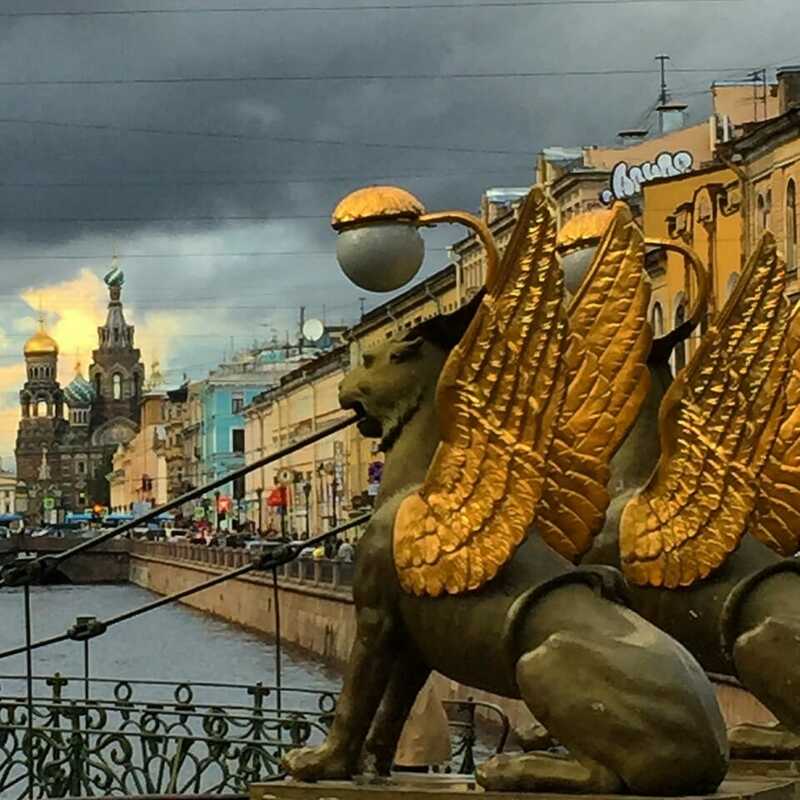 Bank Bridge: a small and pretty bridge located close to Kazan Cathedral.